Emerald Coast Realty is leading real estate firm for all NW Florida properties. We pride ourselves on our ability to provide superior customer service. Let us show you all the great homes for sale or let us show you what your property could sell for in today’s market. We list and sell homes, condos, land, lots, new homes, beach and waterfront properties in Greater Destin, Pensacola areas. 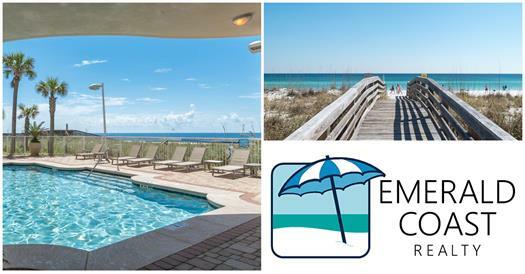 The Realtors at Emerald Coast Realty also list & sell homes and condos in Destin, Fort Walton Beach, Santa Rosa Beach, Miramar Beach, Sandestin, Hwy 30a, Pensacola Beach, and Navarre Beach. Much of the assistance our staff provides involves gathering pertinent information about properties of interest and related issues. We help our clients from first interest to closing. in business since 2003, this real estate company sells homes, condos, and waterfront properties from Destin to Perdido Key. In 2017, 23 Realtors at this brokerage had $67 million in property sales.